One day admission to all your favorite movie-themed rides! Book combo tickets on Klook that bundle the USJ 1 Day Pass with an Osaka Amazing Pass, Osaka Aquarium Kaiyukan Ticket, Nankai Limited Express Rapi:t Round Trip Ticket, or an ICOCA IC Card at a better price! Feel starving after a whole day in USJ? Go ahead and check out these cool restaurants in Osaka! Perfect choice for you to wander around Osaka: Osaka Amazing Pass also available on KLOOK! It is my first time to Universal Studios! I really loved it! My favorite part is the Minion area ❤️ Movie rides are also very enjoyable. The night parade is the best! I hope to go back here again soon. Welcome to the incredible world of Universal Studios Japan in Osaka! With a Universal Studios Japan ticket from Klook, you can re-create dramatic scenes from your favorite blockbusters – at one of only two locations in Asia! Encounter a new dimension of excitement with attractions from Harry Potter, Minions, Spider Man, Jurassic Park, Jaws, and more! Experience the magic first-hand at the towering Hogwarts castle and Hogsmeade village before riding wizard-themed rides and attractions in The Wizarding World of Harry Potter. This adventure park is sure to indulge the thrill-seeker and movie buff's every fantasy! Don't miss 2018's Despicable Me Minion Mayhem at Universal Studios Japan in Osaka! The VIP Wristband gives you entry to USJ 15-60 minutes before it opens, so you can head straight for Hogwarts to be first in line! You might also be interested in our 1.5 Day USJ admission ticket to extend the fun over 2 days! It is my first time to Universal Studios! I really loved it! My favorite part is the Minion area ❤️ Movie rides are also very enjoyable. The night parade is the best! I hope to go back here again soon. It is my first time to Universal Studios! I really loved it! My favorite part is the Minion area ❤️ Movie rides are also very enjoyable. The night parade is the best! I hope to go back here again soon. No need to print out anything! Good and easy to use. The email from Klook came real fast after payment was made. Make sure to check which date you are visiting USJ so that you can plan which category (A, B or C) to book. Ideally, dates for A are the best as it is the cheapest. You can skip queues with this and I definitely recommend booking through Klook. Plan your route in USJ beforehand (see images) to maximize your time there! Also, if you’re going in the summer, please bring an umbrella, sunscreen and water. Some part of queue lines in USJ does not have shelter and can be scorching. Likewise when it rains, an umbrella is definitely needed too. Prepare for lots of snaking lines! Wear comfy shoes. No need to print out anything! Good and easy to use. The email from Klook came real fast after payment was made. Make sure to check which date you are visiting USJ so that you can plan which category (A, B or C) to book. Ideally, dates for A are the best as it is the cheapest. You can skip queues with this and I definitely recommend booking through Klook. Plan your route in USJ beforehand (see images) to maximize your time there! Also, if you’re going in the summer, please bring an umbrella, sunscreen and water. Some part of queue lines in USJ does not have shelter and can be scorching. Likewise when it rains, an umbrella is definitely needed too. Prepare for lots of snaking lines! Wear comfy shoes. Incredible day at universal studios. I recommend the following rides - lupin, minion, Harry Potter, Spider-Man and the waterworld show. We enjoyed eating burgers at Mel’s diner and the snoopy dog bone eclair was delicious. Incredible day at universal studios. I recommend the following rides - lupin, minion, Harry Potter, Spider-Man and the waterworld show. We enjoyed eating burgers at Mel’s diner and the snoopy dog bone eclair was delicious. I really really loved being in this park! Every small detail has its own unique perpose, the attractions are great - not just for a minor but also adults. Liked the Harry Potter area and the 2 roller-coaster which were really great! I really really loved being in this park! Every small detail has its own unique perpose, the attractions are great - not just for a minor but also adults. Liked the Harry Potter area and the 2 roller-coaster which were really great! It was super fast. I just opened the apps, pay the ticket via online , got email ( within a second) and tadaa get into the USJ! For sure next time i will use klook again, because they give you the information with the price so you can decide what kind of ticket do you want with your budget. Thnks klook! It was super fast. I just opened the apps, pay the ticket via online , got email ( within a second) and tadaa get into the USJ! For sure next time i will use klook again, because they give you the information with the price so you can decide what kind of ticket do you want with your budget. Thnks klook! It’s was fantastic! No hassle in our entry, just tap on my e voucher and go for four of us. There were lots of characters roaming around for photo taking. The rides were all thrilling and fun. We had an enjoyable time especially in Harry Potter’s world where my children were die hard fans. They enjoyed the rides The night parade was colorful and entertaining. We will be back to visit again. It’s was fantastic! No hassle in our entry, just tap on my e voucher and go for four of us. There were lots of characters roaming around for photo taking. The rides were all thrilling and fun. We had an enjoyable time especially in Harry Potter’s world where my children were die hard fans. They enjoyed the rides The night parade was colorful and entertaining. We will be back to visit again. Great experience at Universal Studios Japan. Klook made the bookings simple and stress free. Would highly recommend a visit to Universal Studios. It is refreshing to experience different sceneries and rides. Great experience at Universal Studios Japan. Klook made the bookings simple and stress free. Would highly recommend a visit to Universal Studios. It is refreshing to experience different sceneries and rides. We bought the tickets from Klook during the cherry blossom promo and it was well worth it. All we have to do is to print out the vouchers and scan at the entrance, no need to queue up to buy tickets, the queue was long even on Thursday but we have been advised Wed and Thu are non peak days so it’s much better already. Some of the highlights are Harry Potter, Minion Park, Sing Tour (which is new and we love it), Night Parade. There are lots of deco for Easter and minions are everywhere, they are so cute, absolutely love the day. We bought the tickets from Klook during the cherry blossom promo and it was well worth it. All we have to do is to print out the vouchers and scan at the entrance, no need to queue up to buy tickets, the queue was long even on Thursday but we have been advised Wed and Thu are non peak days so it’s much better already. Some of the highlights are Harry Potter, Minion Park, Sing Tour (which is new and we love it), Night Parade. There are lots of deco for Easter and minions are everywhere, they are so cute, absolutely love the day. We could just go through the gates with the printed passes! Do not need to queue at the counters to purchase tickets. Go on Wednesday or Thursday, crowd level is low. The night parade was one of the best comparing with USS or even USO. Tip: Check for rides that would be under maintenance. When we were there, 4 of the 3D and 4D rides were under maintenance and WaterWorld even suffered operations failure half way into the show and express passes were given as consolation. Purchasing the ticket from Klook is good, but you may want to manage your expectations about the park experience, especially if you have been to USO and USHollywood. We could just go through the gates with the printed passes! Do not need to queue at the counters to purchase tickets. Go on Wednesday or Thursday, crowd level is low. The night parade was one of the best comparing with USS or even USO. Tip: Check for rides that would be under maintenance. When we were there, 4 of the 3D and 4D rides were under maintenance and WaterWorld even suffered operations failure half way into the show and express passes were given as consolation. Purchasing the ticket from Klook is good, but you may want to manage your expectations about the park experience, especially if you have been to USO and USHollywood. Good to buy ticket in advance as u can see the queue is already crazily long even before the park open! (about 15mins before it open) my favourite section is of course the harry potter section! Soooo pretty!! Good to buy ticket in advance as u can see the queue is already crazily long even before the park open! (about 15mins before it open) my favourite section is of course the harry potter section! Soooo pretty!! Q: Do I have to enter the park on the date I selected when make the booking? Q: I saw a warning on the USJ official website that indicates tickets sold by resellers are not valid and will not be accepted. Are the tickets I bought on Klook genuine? Will I have any problems when trying to use them at the park? A: Klook is offical partner of Universal Studios Japan. Please visit the USJ official website to see our credentials. 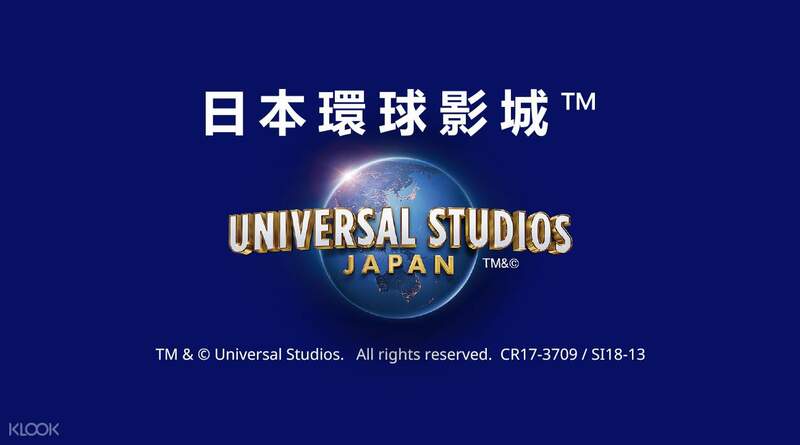 (http://www.usj.co.jp/hk/travel/) All USJ tickets sold by Klook are genuine and will be accepted for entry into the park. Q: Do children need a ticket to enter? What are the age limits for a child ticket? A: Yes, children from ages 4-11 require a child ticket to enter the park. Infants under the age 4 can enter the park for free. Q: Are senior tickets available? A: Senior tickets may be bought directly at the park. To avoid long queues at ticketing, you may also opt to buy them an adult ticket on Klook.